With a circulation of 2,000 copies, the English-language edition of Ultimatum will be distributed at Concordia and McGill University, as well as Dawson College and Marianopolis College, two English CEGEPs in Montreal. ASSÉ represents about 70,000 students in 40 universities and CEGEP student associations across the province. However, only two of these associations are anglophone, Concordia’s School of Community and Public Affairs Student Association and McGill’s Art History and Communication Studies Graduate Students Association. Gingras says there is a lack of English student associations because of cultural differences. 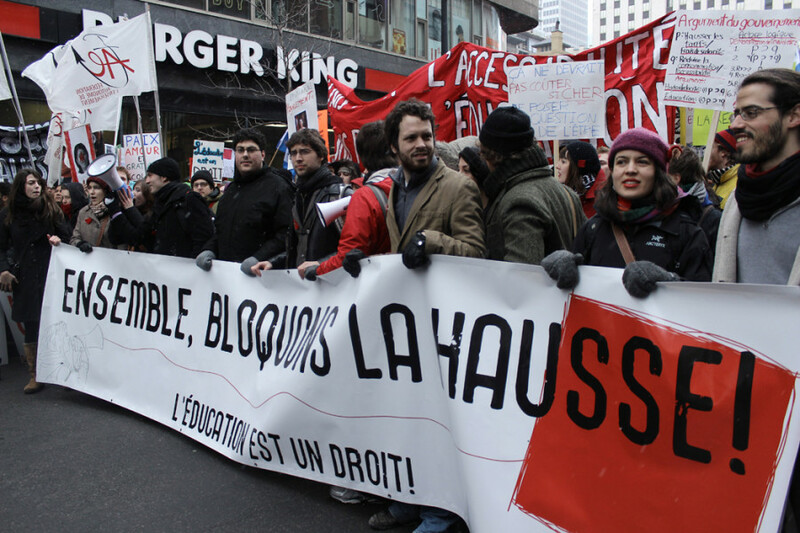 “ASSÉ has been part of a union-inspired movement. Unionism isn’t a concept that’s as developed in the U.S. or English Canada,” he said. Being part of the small anglophone minority in ASSÉ has its benefits, says SCPASA executive secretary Lucinda Marshall-Kiparissis. She added that membership has also given the SCPASA the opportunity to help shape provincial policy on student issues. The association voted in favour of joining ASSÉ in March 2013. The decision to publish ASSÉ’s newspaper in English is a positive step toward “connecting with other anglophone schools,” she said, adding that the English version of ASSÉ’s website isn’t up to par with the French one. Founded in 2001, the same year as ASSÉ, Ultimatum is intended to present an alternative to the mainstream media. ASSÉ hasn’t published the newspaper in English since the student strike in 2012, when it printed a two-page “express” edition.